Combining unique textures and colorful blooms, Domonique Rose knows how to make floral arrangements the focal point of any setting. Whether you have an upcoming event or simply want to spruce up your home or office decor, we'll be able to collaborate with your design needs and create a beautiful, customized piece. More of a traditionalist? Don't worry...we also create simple yet captivating arrangements that appeal to all tastes! From weddings to birthdays, baby showers and corporate events, we can design for any occasion. Take a look at our previous work or contact us for more info for your next event! There's no better way to say Happy Birthday, Thank You or Congrats than with an arrangement or curated gift box! 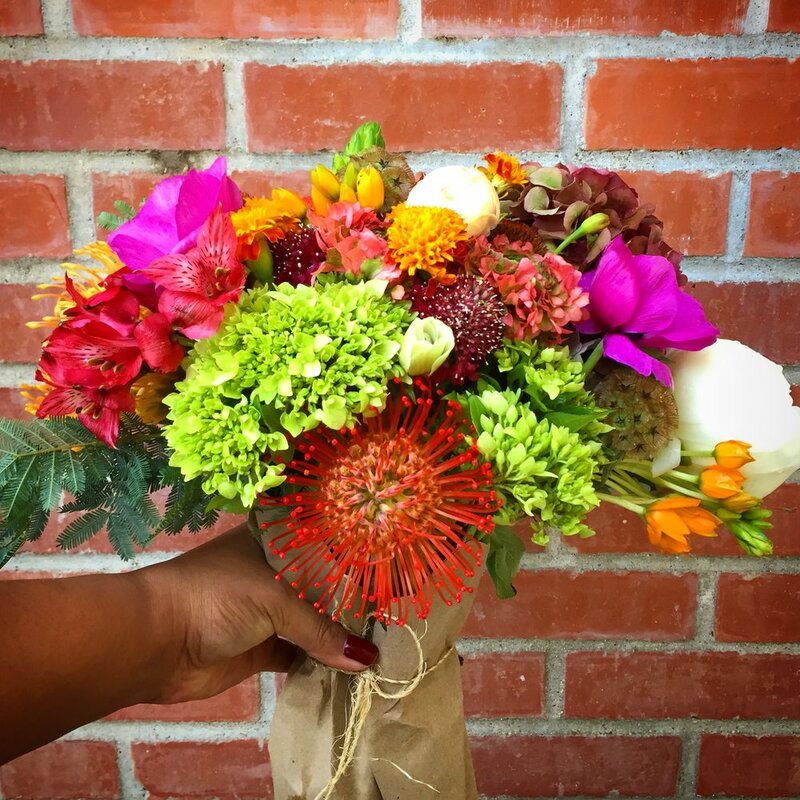 Browse through seasonal finds in our Flower Shop + find the perfect gift. Office and home deliveries can be scheduled weekly or monthly. We'll customize your arrangement based on your style and space. Add some fresh blooms to your space today!